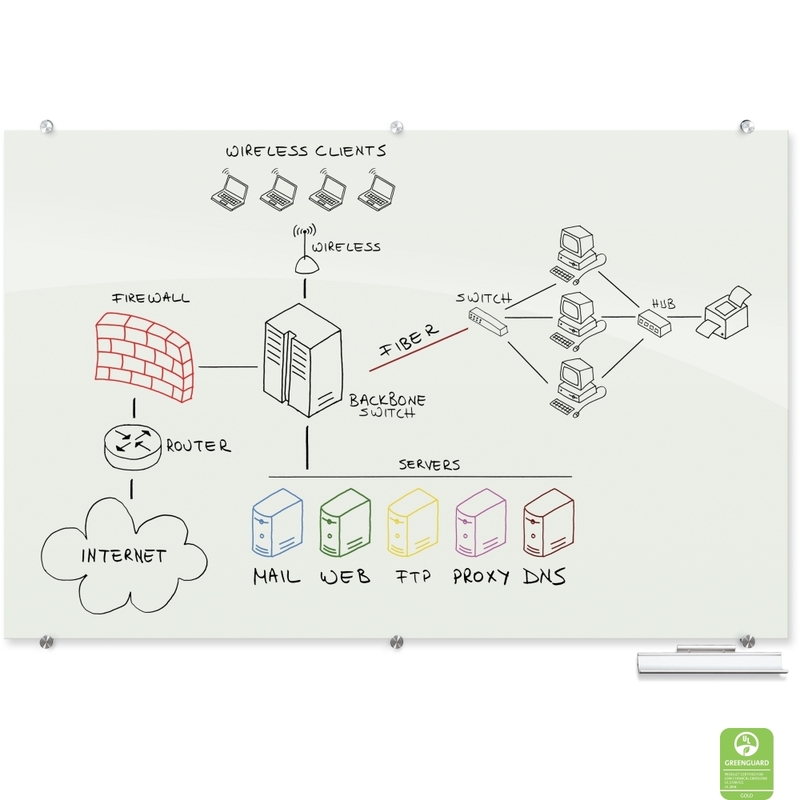 Best-Rite Visionary glass dry erase boards are magnetic receptive and totally cool! 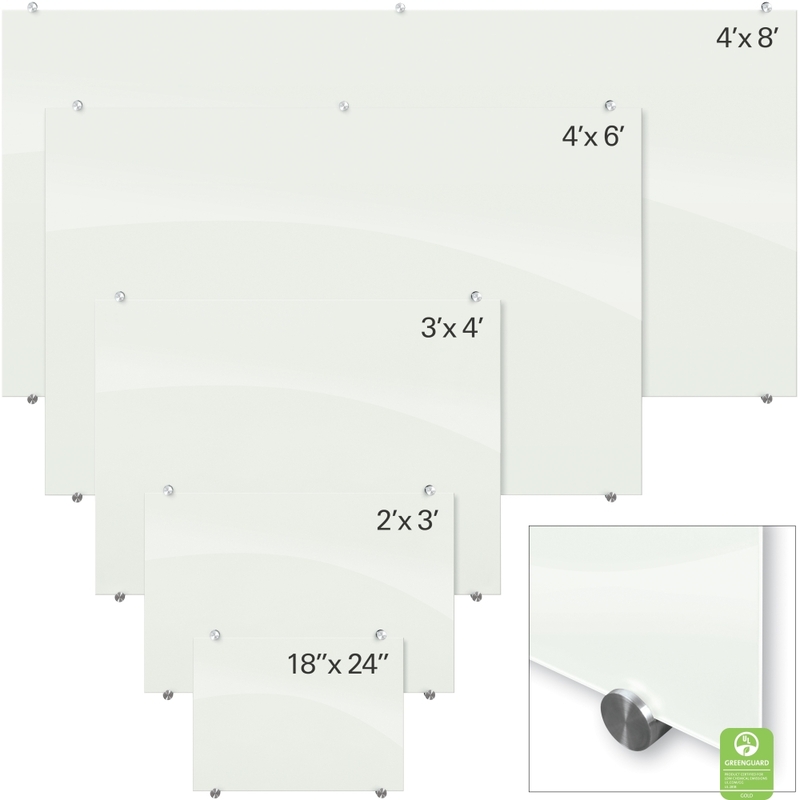 These magnetic glass dry erase boards provide the best of two things; a quality dry erase board and smart, contemporary styling at the same time. 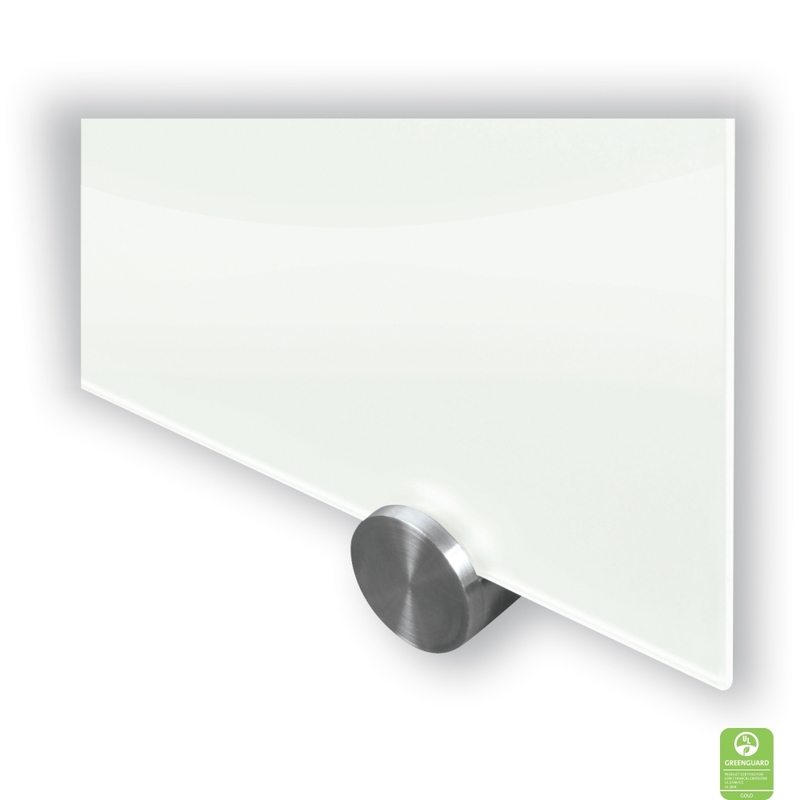 Visionary glass boards have no frames or borders and they are seamless with a glossy white writing surface. The writing surface and coloration are engineered to have ideal optical qualities. These units are not recommended for projection. 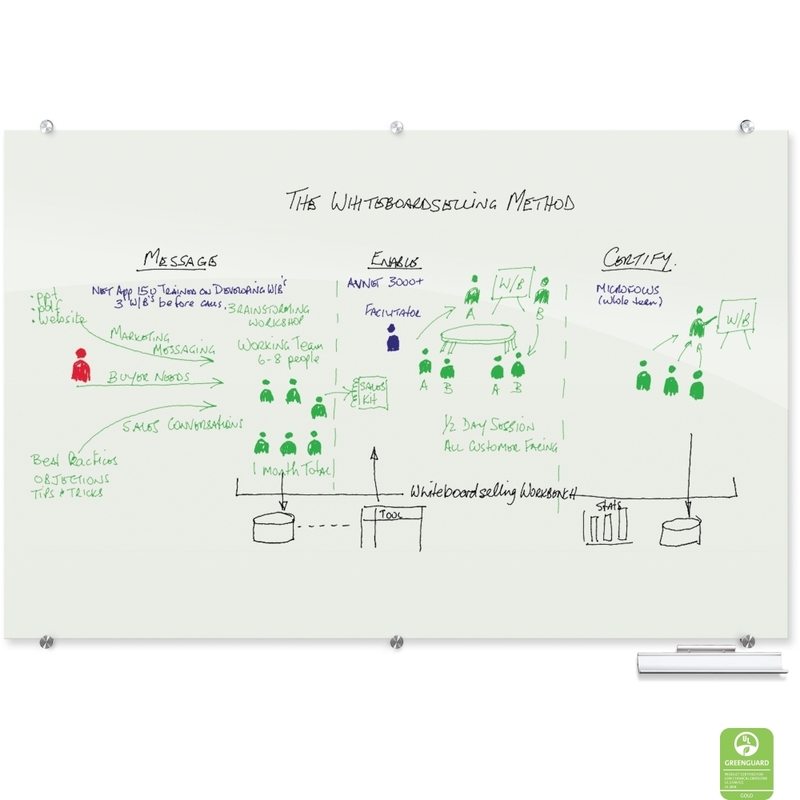 All of the Visionary glass dry erase boards can be used with any quality dry or wet-erase marker and they clean up easily without ghosting or staining. *This product is Not eligible for our Free Freight program. Thank you. Must use high strength magnets to be effective. Easily cleans without ghosting or staining. Simple and sturdy mounting devices are padded to protect surface. Includes aluminum accessory tray and a set of magnets. 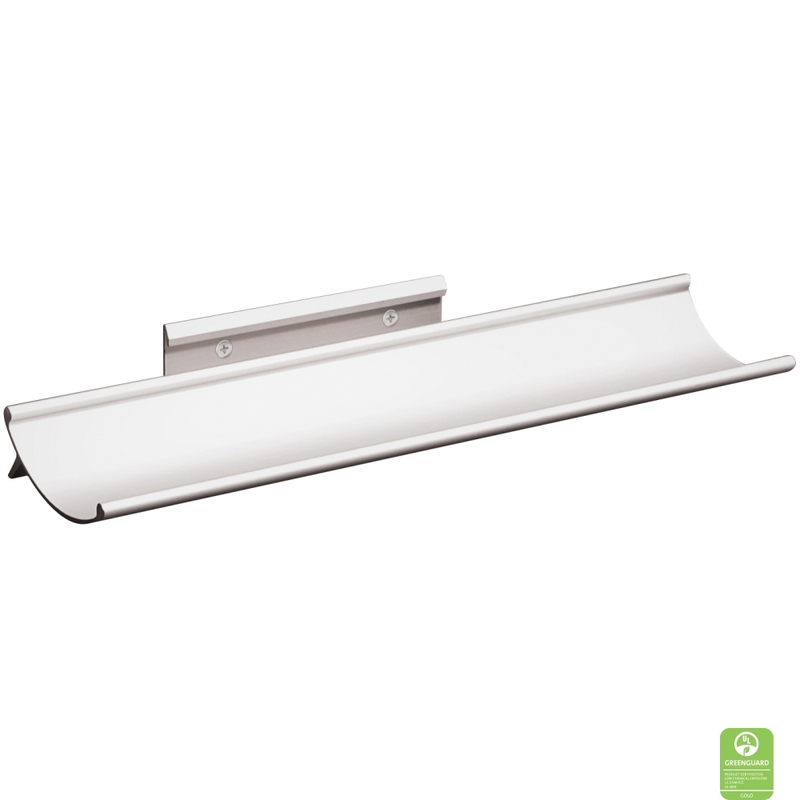 Please note: MagTray™ magnetic marker trays do not work with these Magnetic Glass Boards. 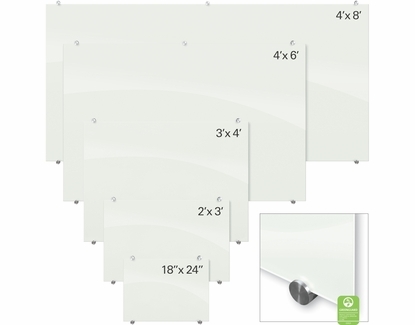 These Magnetic Glass Accessories will work with this unit. * Important Information: Do not use unless all screws are tight. At least every 6 months check all screws to be sure they are tight. If parts are missing, broken, damaged or worn stop use of product until repairs are made using factory authorized parts. See Installation Instructions below. This works great! Take the time to mount it by the instructions! Love it! The whiteboard fit my office perfectly and looks high tech. So, so attractive. but doesn't hold our paper calendars nearly as strongly as we'd hoped. We need to use like 40 little magnets for one piece of paper, otherwise the thing slips down steadily. It's a combination of the thin steel in the back (too thin) and the slipperiness of the glass (glass). If you like buying magnets though, it\'s awesome!! Merchant Response:Thank you for your feedback, we agree that these boards don\'t have as much magnetic receptiveness as we would like. Unfortunately this is true of any magnetic glass board we have ever seen. 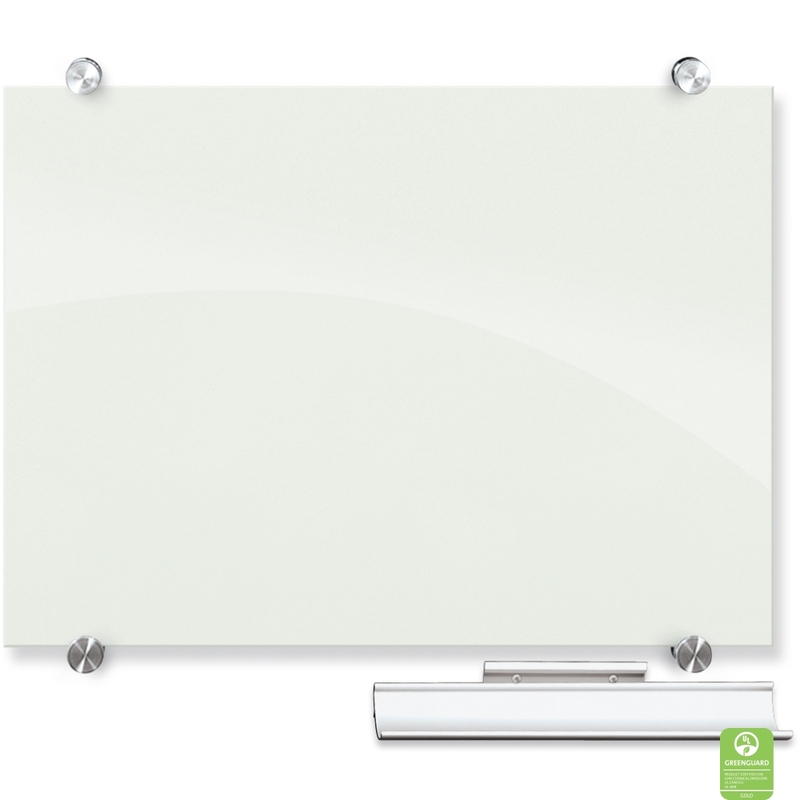 Magnetic glass boards all really only have a light magnetic receptiveness. 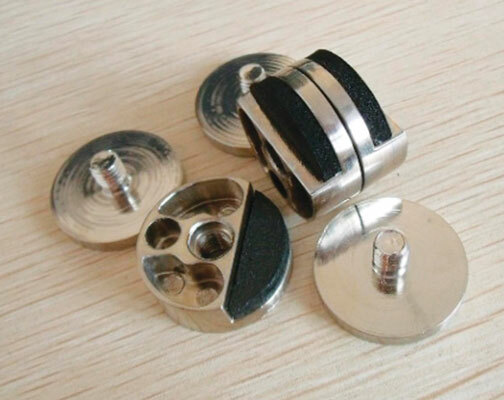 Best results are achieved with strong lightweight neodymium (rare earth) magnets but even with those they certainly don\'t work as well as our standard magnetic receptive boards.